The treating physician is an extremely important person in diagnosis, treatment, and recovery for an injured worker, yet, all doctors are not created equal. In addition, finding the right workers' compensation doctor has only become more complicated with specialized medical networks, and the emergence of telemedicine. Good decisions in workers' compensation are made with good information. There is no time more important to lock-down good information than immediately following a work-related injury. Account Handling Instructions describe how your claims are handled, and will be given to any and every adjuster who works your claims. 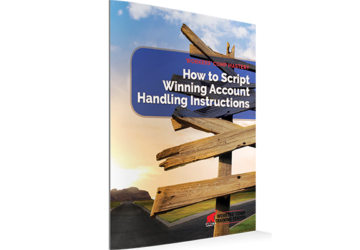 Properly scripting these instructions affects every aspect of your claims handling and is a CRITICAL step in a winning workers' comp management program. Company culture is the foundation on which an organization is built. It dictates customs, best practices, expectations, and 'how things are done around here.' Efforts to improve a singular aspect of workers' compensation management can be sabotaged by ingrained behaviors of the way things have always been done. Prescription drugs are the fastest growing component of medical care, carry huge lifetime costs in the treatment of injured workers, and have a high propensity for addiction. When left unmanaged, employers/payers are vulnerable to abuse from both prescribers and patients which drastically increases costs and can cause devastation in the lives of injured workers’. 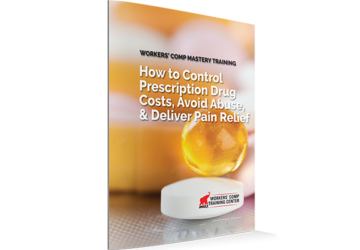 - How to deliver the right prescription, at the right time, for the right cost to help the injured worker recover. 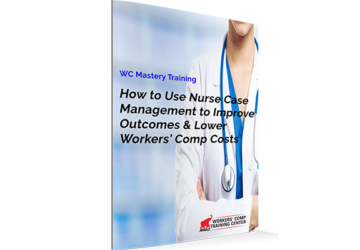 Nurse case management in workers' compensation can be a highly effective service to improve outcomes and lower costs....when used correctly. When used incorrectly the nurse case manager can add additional expense with little to no added value. 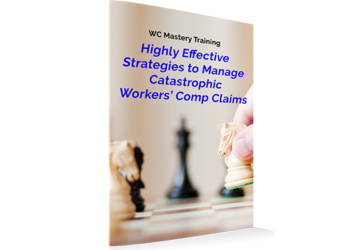 5% of workers’ compensation claims account for 80% of total costs. For this small group of claims the stakes are highest in both financial dollars and impact on the injured worker’s life. 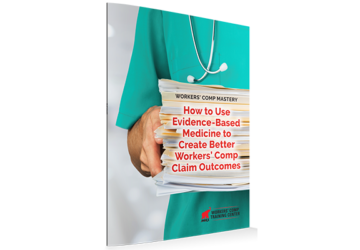 Knowing how to approach these claims, what strategies to use, and when can make a dramatic difference in the claim outcome. 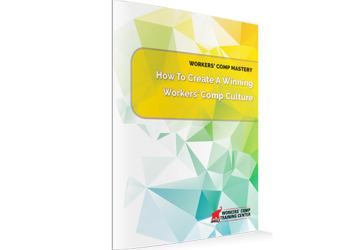 5 Critical Metrics make management understand the value of workers’ compensation management. 5 Critical Metrics keep management committed over time. 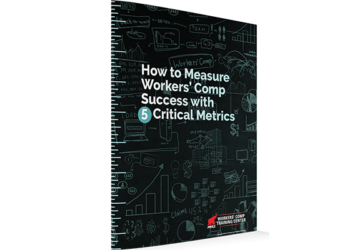 5 Critical Metrics measure the success or failure of your workers’ compensation program. 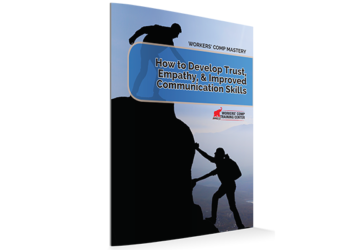 Communication in workers' compensation is the single most important tactic to learn and master. 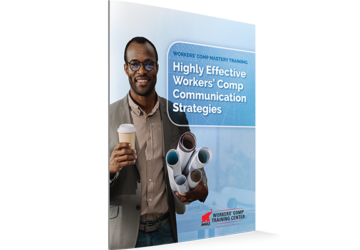 Every single aspect of work comp management will be better or worse depending on the effectiveness of your communication. The existence of a workers' compensation claim relies on the determination of an injury being legitimately work related or not. While many details of causation can be both medically and legally complex, employers and claims handlers need to understand key concepts in order to make informed and fair decisions. 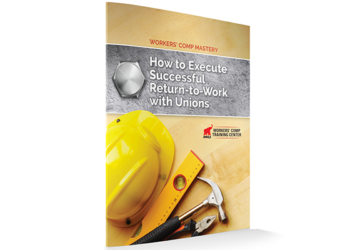 Return-to-work is a fundamental best practice in workers' compensation management. The effectiveness of your return to work program defines the success or failure of your injury management system. - Identifying light duty jobs that are valuable to the company, even for high wage earning employees. 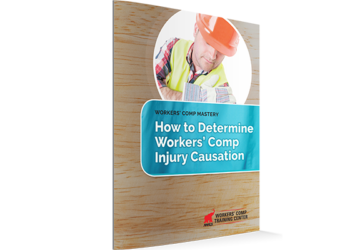 Supervisors are often the first to respond to an injury and are a critical component of successful workers' comp management. 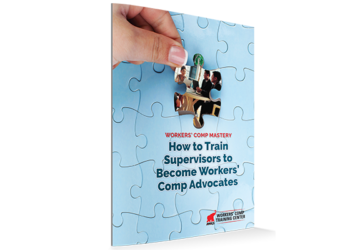 Those supervisors who are appropriately trained to become advocates are the catalyst to drive superior work comp claim outcomes. 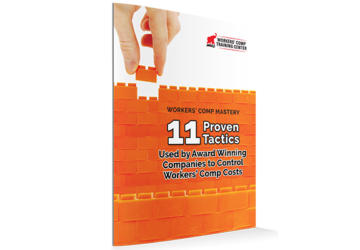 You are likely sitting on a gold mine of data that can hold the secrets to dramatically reducing your workers' compensation costs and improving injured worker outcomes. 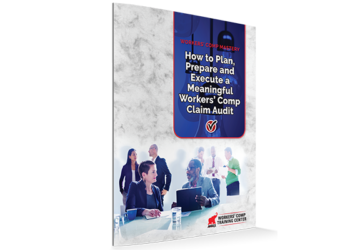 In this session you will learn from 22 years experience in planning, preparing, and executing meaningful workers' comp claim audits. A common statement regarding workers’ compensation is “I hope we have a good year”, or “we’ve been lucky/unlucky the last couple years.” The reality is hoping for good luck has very little to do with workers’ compensation success or failure. 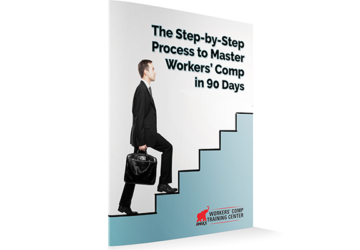 Workers’ comp success is driven by a comprehensive systematic approach to injury management, however, it’s often 1 or 2 tactics that make all the difference. The BEST way to reduce litigation costs is — to avoid litigated claims altogether. However, when claims do become litigated, it is important to be prepared in advance. 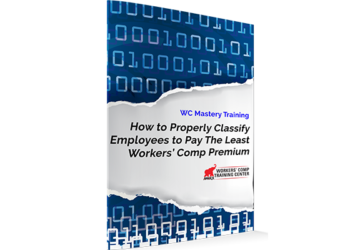 Learn the secrets to manage, avoid, and win workers’ comp litigation. 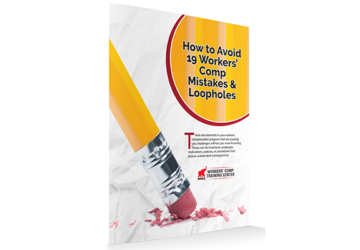 - Dealing with other attorneys that have no concept of the complexity of workers comp law. Workers' compensation management starts well before an employee is hired, or incurs an injury on the job. 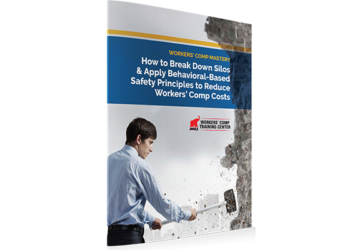 Safety principles and injury management best practices should be two sides of the same coin, however, these two disciplines are often silos and lack connectivity. A common fact often forgotten is workers’ compensation claims are medical injuries and medical expertise is needed to get the best claim results. The workload of the everyday adjuster is unrealistic to expect accurate and appropriate medical determinations. This session will go in-depth on how to leverage evidenced-based medicine guidelines to empower claims handlers and drive positive claim outcomes. 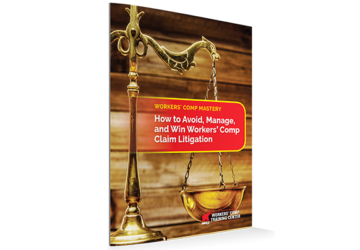 Bringing old dog, expensive claims to settlement can have a positive effect both on an employers workers' compensation program, as well as the life of the injured worker. 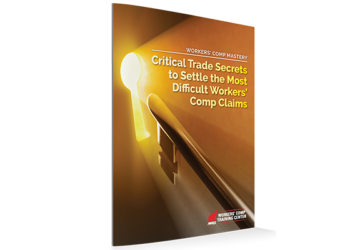 In this session, you will learn the trade secrets to settling the most difficult and challenging workers' compensation claims. 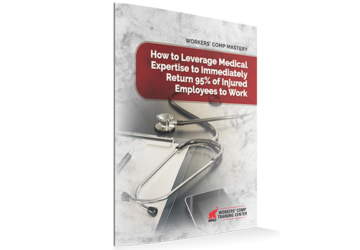 The best in class standard for returning injured employees to work is 95% within 0-4 days. There are many factors that go into achieving this goal, however, leveraging medical expertise ranks high on the list of critical factors, and can be the difference between employees returning to work rapidly or potentially being out of work for an extended and often unnecessary period of time. - What is the first thing you do when an employee is injured? 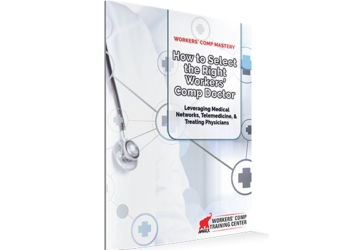 - How to get your injured worker to the right level of medical treatment for every injury. - How Injury Triage really works. - How to set up the treating physician relationship and what medical information you need to obtain. - When / if you talk to the injured worker, and what are you supposed to tell him? Reducing workers’ compensation costs is an outcome, not a goal. The goal is to put a proper program into place, reducing claims and returning injured workers to work. 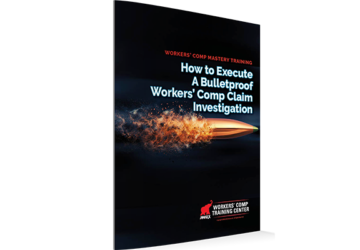 Implementation of a workers’ compensation management program is most successful in four distinct steps completed in a specific sequence and timeframe. 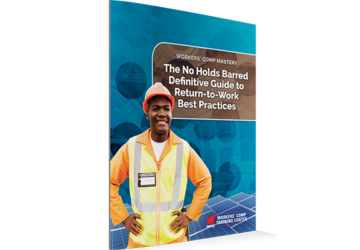 This session will cover the step-by-step process for you to assess your program, identify gaps, and implement solutions that will lead to significant workers' compensation savings. - Getting people back to work who really don’t like their job. - Obtaining light duty releases from doctors that you can actually accommodate.